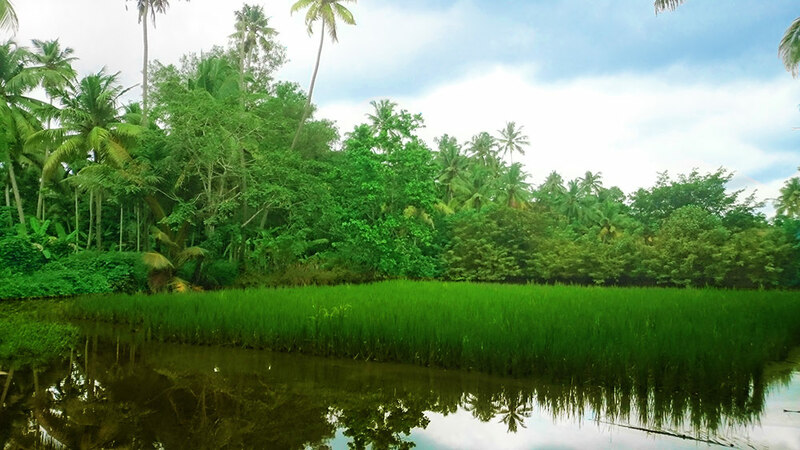 'Thekkanat Parayil', nestles in a very green and unspoilt corner of rural Kerala. 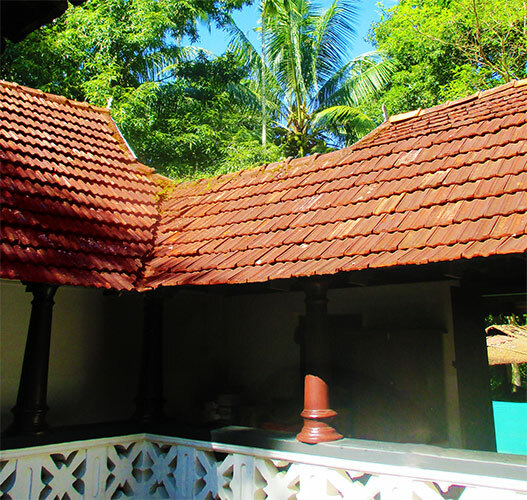 Set in the middle of a working farm, it is a house of openness and light, serenaded by birds, shaded by ancient trees and lulled by gentle breeze from the backwaters. 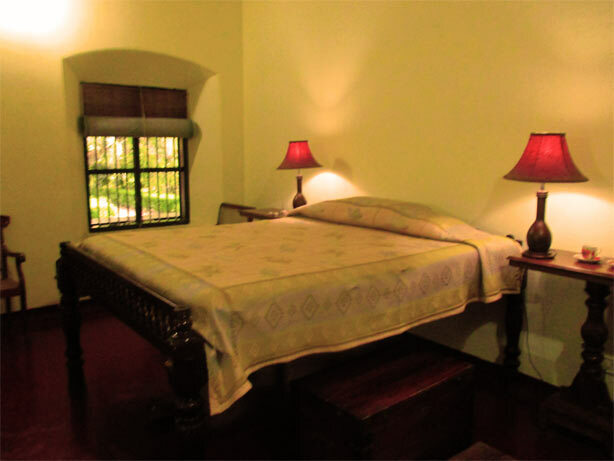 The house has four large airy bedrooms, all non-ac, for guests in the main building, and two rooms in the converted gate house accessible by wheelchair, with individual garden space. There are modern bathrooms attached to all the bedrooms. 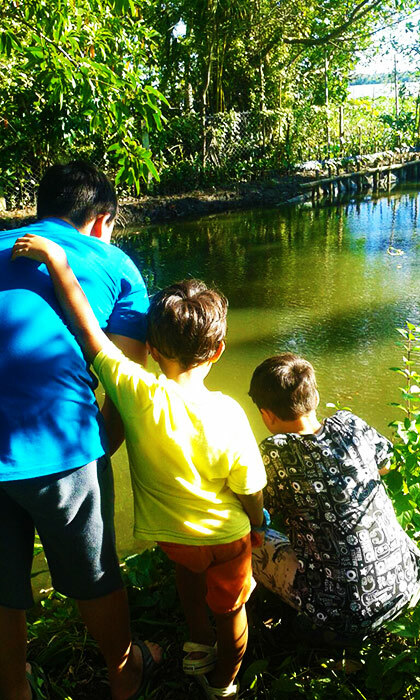 Take a village walk and make new friends as you go along! Take a bicycle tour of the villages nearby. Fish in the farm canals - 'village style'. 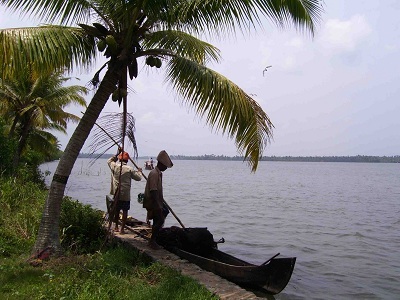 See local fishermen cast their swirling nets in the backwaters. 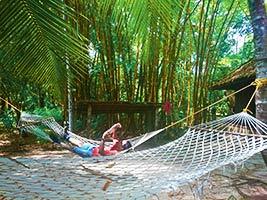 Watch coconut harvesting every 45th day. 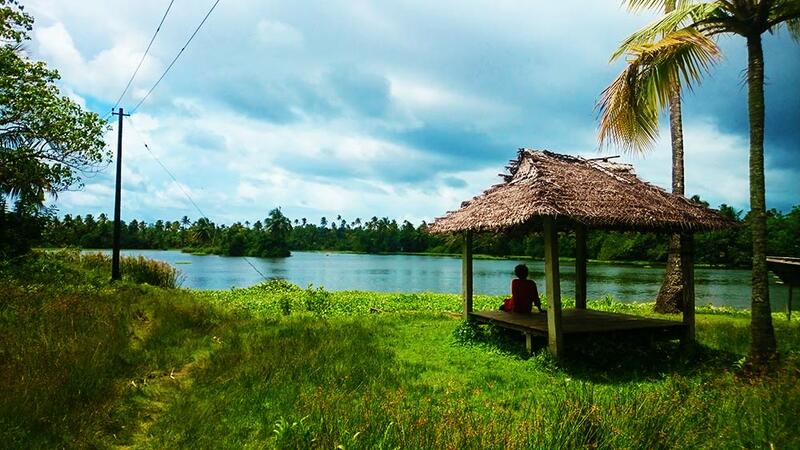 Summon a willing 'guru' to teach you the art of climbing a coconut tree! 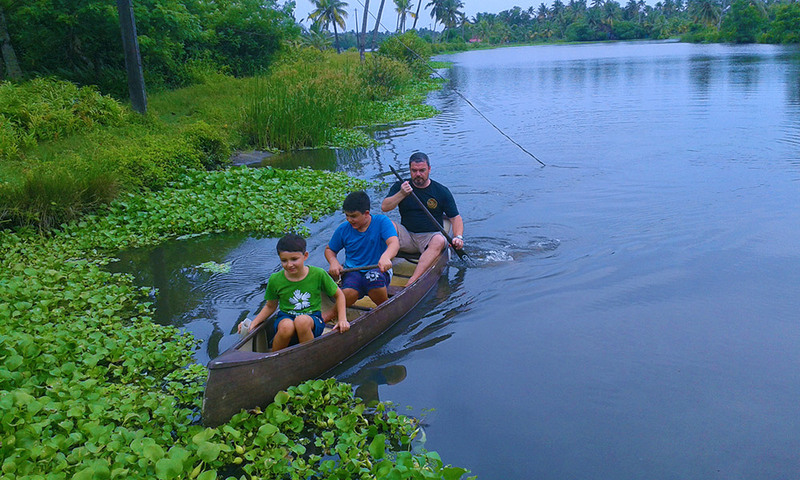 Family boatman can take you for a slow boat ride through the Kaithappuzha backwaters – idyllic! Visit the market nearby and shop for village products. The local tailor can be persuaded to run up something for you overnight. 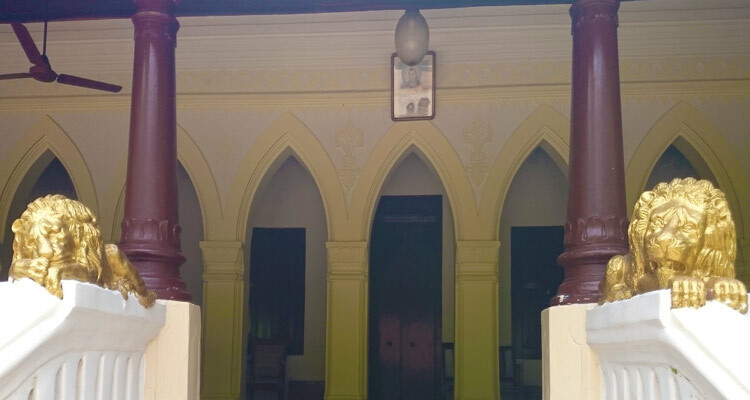 Browse through the Family Archives - a treasure-trove of old family documents, letters, photographs and rare documents highlighting Kerala's social fabric of the last two centuries. 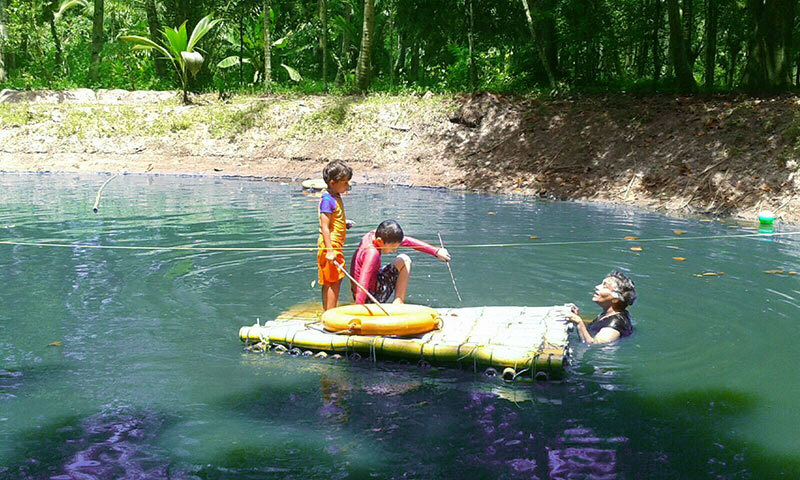 The estate's lagoon is safe, even for the novice, to row a canoe and feel the serenity of the waters. 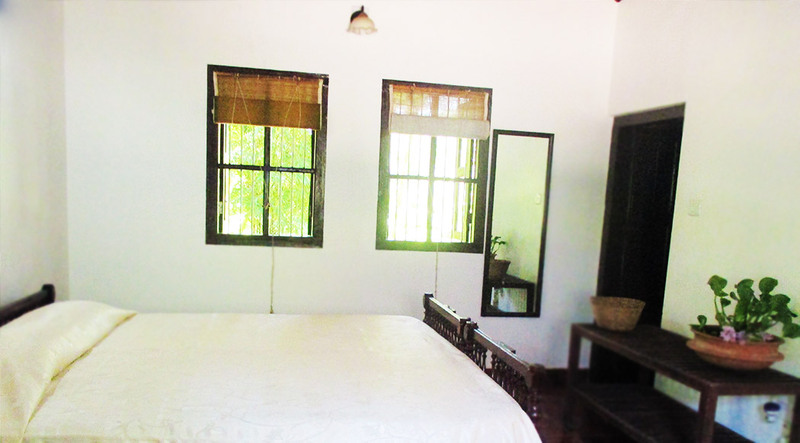 The house is equipped for table tennis, basket ball, football, cycling and various indoor board games. You might even be invited to join a village cricket match in progress. The house has a well-stocked library for all ages. 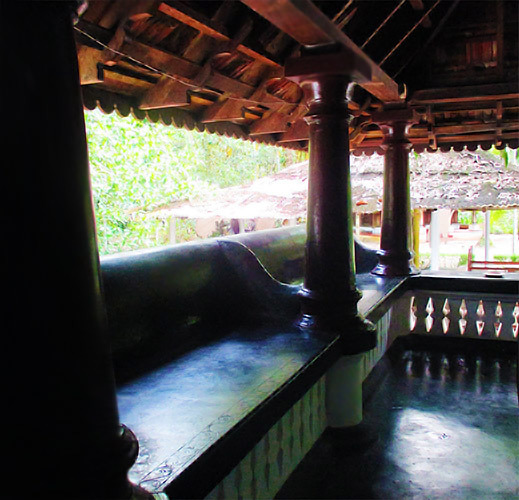 Relax on the 'Kulir Kallu' (cooling stone) at one end of the house with a book, laze on a hammock - or just revel in the pleasure of doing nothing! 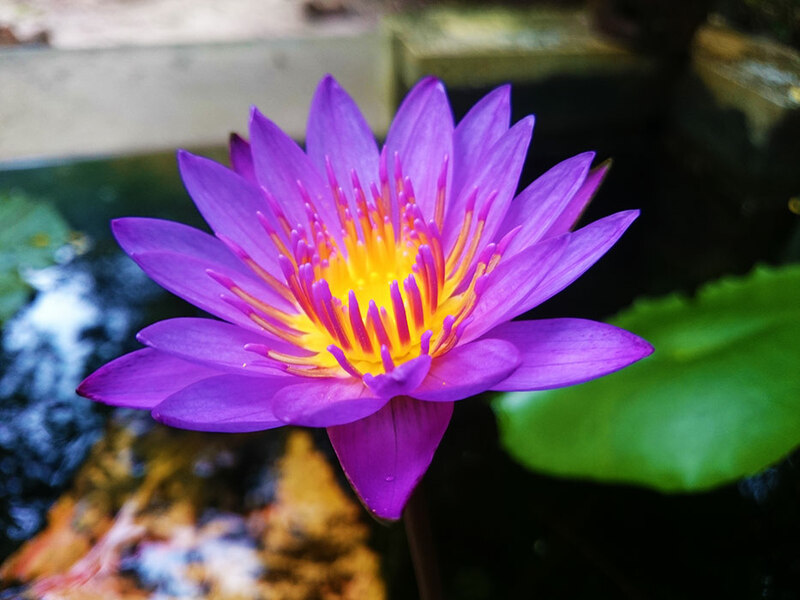 • Sumy practises yoga regularly and welcomes company. 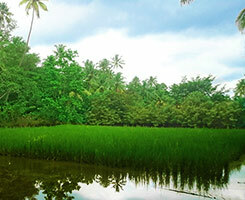 • Learn to wear traditional Kerala costumes and Saris. • Sumy has also specialised in Reiki for over 25 years and Reiki sessions can be arranged. * You will need to pre-book a taxi for these trips, this can easily be arranged with one of a number of regular taxi drivers. 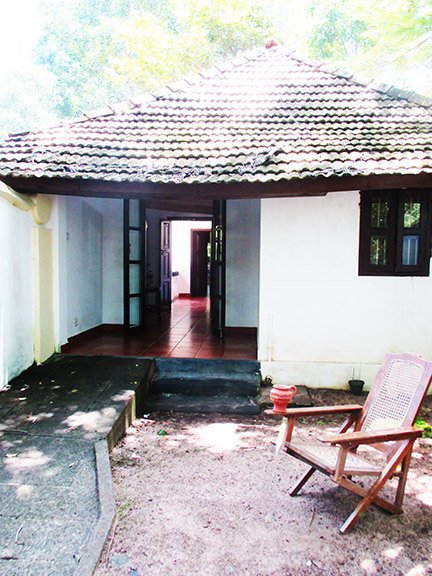 Thekkanat is a home and not a hotel. 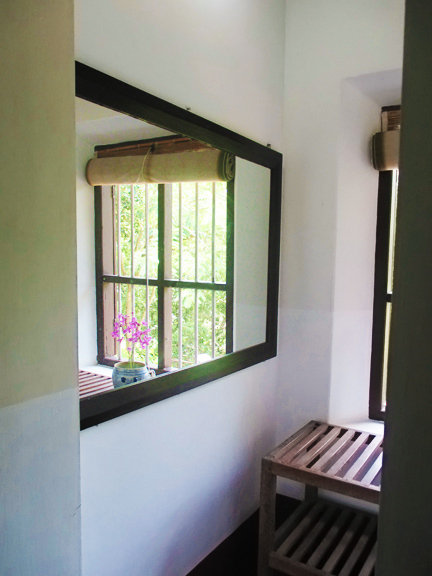 It is very informal, welcoming and open. We hope your stay here helps you understand Kerala and its people better. Governmental rules require you to register on arrival. Your baggage will be sent to your room. Do confirm that all your baggage has been taken out before you send your transport away. When you need a change of bed linen, towels etc or want your room cleaned, do ask for it. The house staff has instructions not to enter your room during your stay unless specifically requested. Breakfast, lunch and dinner are around the family dining table and everyone eats together. 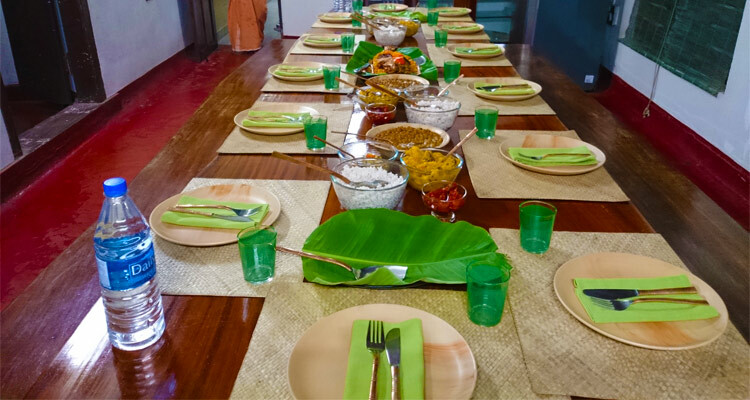 The food served in the house is mostly traditional Kerala cuisine and includes non-vegetarian cooking at lunch and dinner. Let us know in advance if you have health or religious food restrictions. We can then let you know what is possible. The menu of the day depends on seasonal vegetables from the farm and village - and the catch of the day. Breakfast is normally ready by 8.30, lunch by 13.30 hrs and dinner by 20.00 hrs. These timings are flexible and can be advanced or delayed on request. 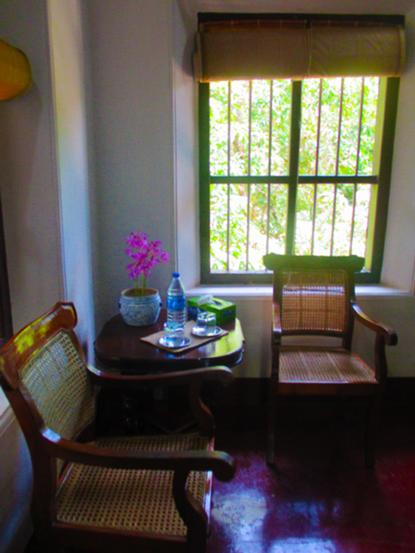 There is a small pantry in the passage outside your room in the main house. It has the makings for tea/coffee. Kitchen is open from 6.30 am. The staff will be happy to brew either for you. The house has a water purification plant. Water in the taps is safe for use. But you will find sealed bottles of drinking water in your room. We recommend you drink only that. 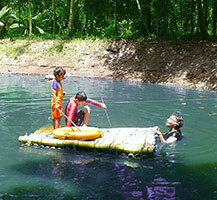 Thekkanatt is over a hundred years old and does not conform to modern day concepts of safety. Floor levels vary from room to room, each room has a threshold and the staircase is steep. This is part of the charm of the house, however, it does mean you really have to watch your step. If you have any difficulty climbing upstairs, ask to book the one bedroom downstairs. The house has a lot of woodwork, which can be a fire hazard. 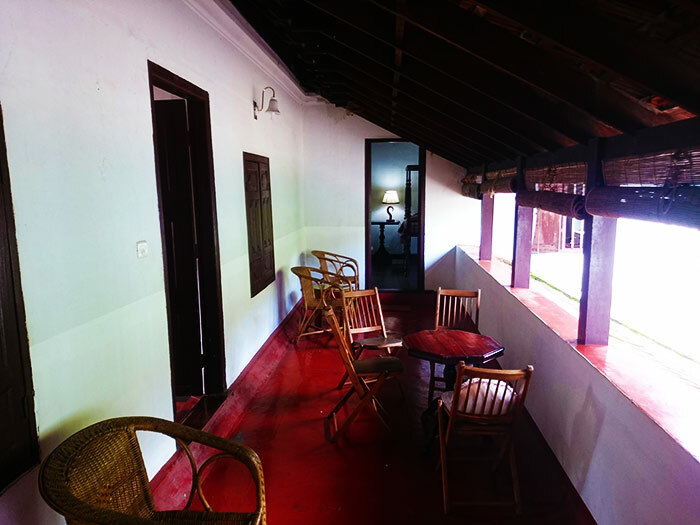 Handy fire extinguishers are provided in each room. The village is a very friendly place and people are usually warm and welcoming. The house is safe – but we would still advise you to lock your room when you go out and to keep the key with you till the end of your stay. In the event of a power failure, there is a back up generator which will restore power in a few minutes. We provide wifi internet facility. We have basic first aid available at Olavipe. 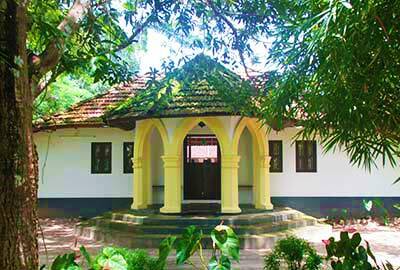 If you need a doctor, there is a small village hospital about 2 kms from the house. 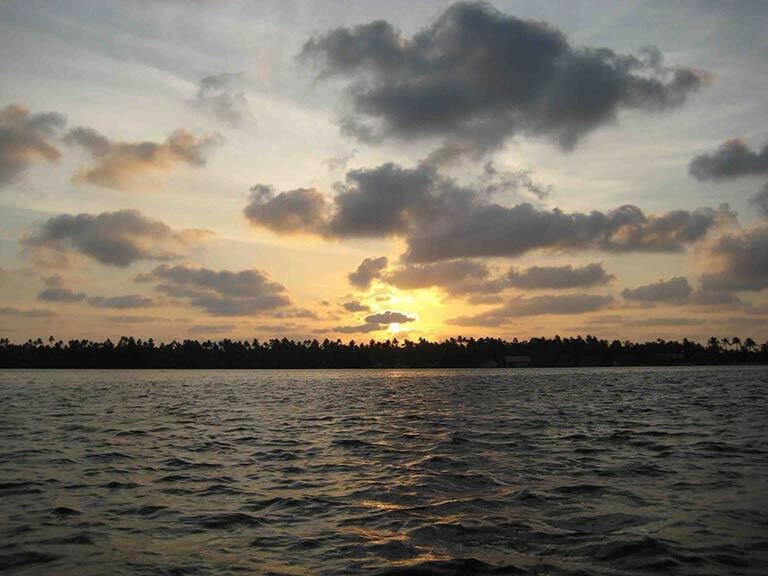 One of Cochin's super-specialty hospitals is about an hour's drive away. You are welcome to join the activities on the farm. But for anyone unaccustomed to the hot sun, it is advisable to stay indoors between 11am and 4 in the evening. Drink lots of water and stay in the shade to beat the heat. We recommend you wear covered walking shoes when you are out in the farm. Stick to the lanes and foot tracks. Avoid walking over dry leaf heaps and through overgrown areas - snakes have occasionally been spotted here. Avoid walking outside in the night. Carry a flashlight with you if you must walk out after dark. 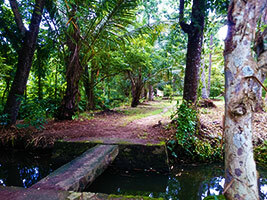 There are ponds in the estate around the house. Toddlers and children need to be supervised. 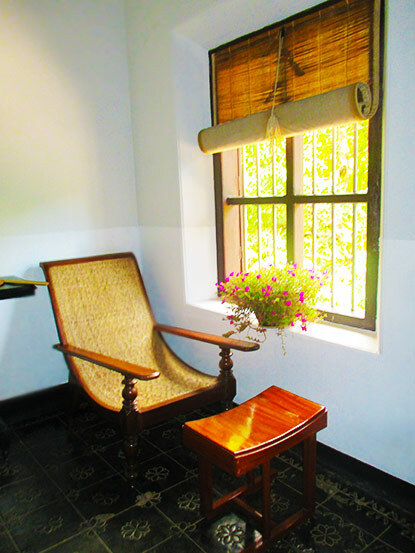 As a homestay, there are times when the house may be hosting many guests and times when you may be our only guest. There are enough nooks and corners in the house to find your own space if you choose to, otherwise, there will always be someone to talk to! In India, there are many reasons to celebrate with loud firecrackers and music. It may be illegal in the country you come from, but in India this is in the natural way of things! When you are packed and ready to go, the house staff will bring your baggage down and load it into your vehicle. Do check that everything is in the car before you leave. 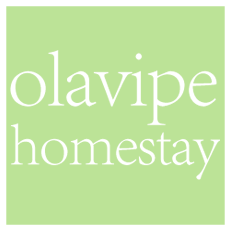 Olavipe has a guest book –add your comments in it. We welcome your feedback. Please do not tip the staff for service. If you want to, you are welcome to drop it in the box provided for it in the office. The amount is divided among all the staff, each month. The Olavipe brochure, available in every room, has our email ID and our contact details. At Olavipe, there has long been a tradition of friendship and hospitality, friends have come as guests and guests have left as friends. We hope you carry back happy memories of your time with us and stay in touch! 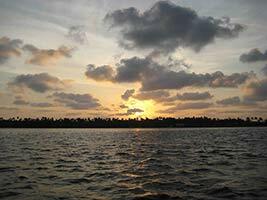 It started with land and sun and sea, trees and soil, sand and water. 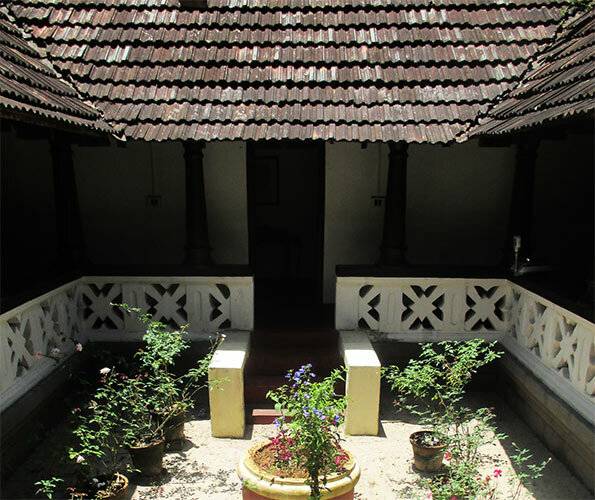 The house basks in the sun each day and keeps an indulgent eye on the family, serene in the knowledge that the changes of each generation and modernisation will do little to alter the ambience of a world from a century ago. The house guardians, the stone lions, would have some stories to tell us if they could speak tales of numerous weddings and births, songs of love and laughter echoing through tiled passages and whispers of children playing hide and seek. A single piece of Aanjili wood stretches endlessly in the dining room, flanked by benches from the same tree, ready to hold dish after delectable dish. 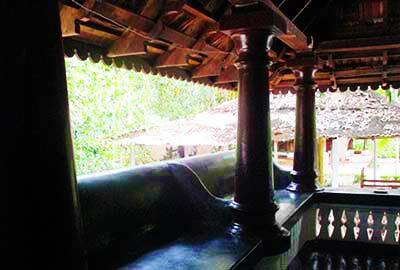 Come and experience authentic Kerala cuisine that your taste buds will forever remember. 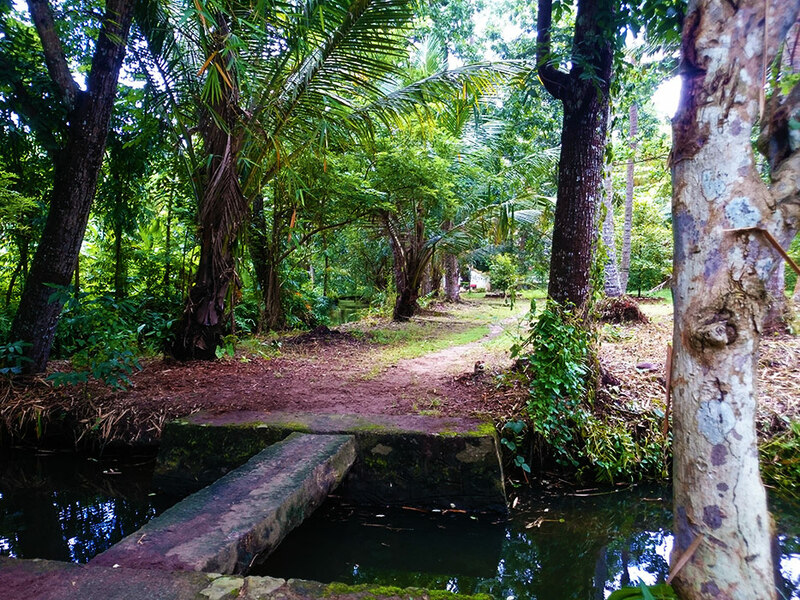 There have been folk who have come to read, paint, bird watch, fish, play countless games of table tennis in the back yard and countless games of carroms on the front verandah. 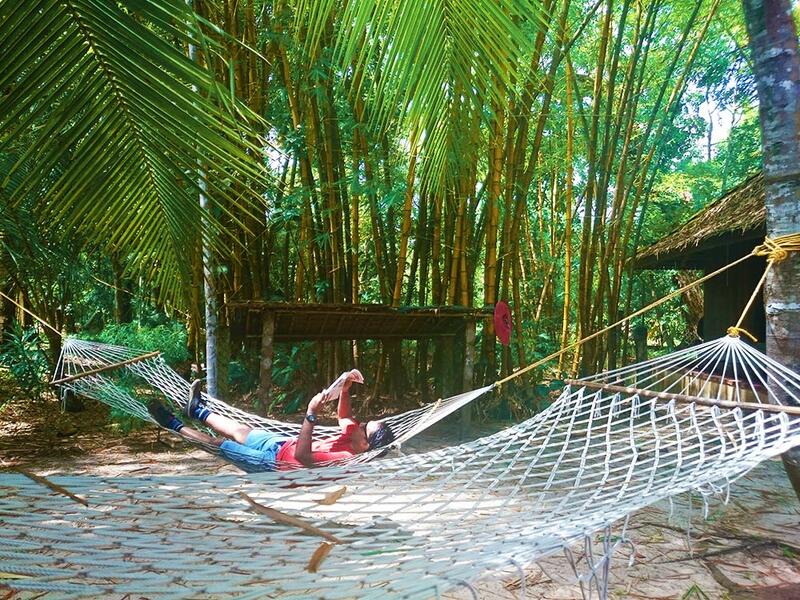 Most popular of all, may well be swinging lazily in the hammock, spinning new dreams under the rustling palm trees while the cicadas sing you an age-old song. 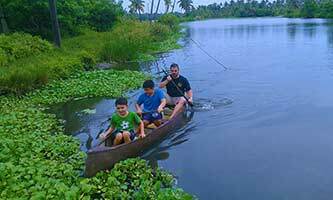 Long, long ago, in God's own country, Kerala, a small island emerged from the depths of the Kaithappuzha backwaters. There was lots of sunshine, lots of rain, lots of green and lots of breeze. So the natives called it 'Olavipe'- 'gift of the waves', in the local language. Down the centuries, many people from far and near came looking for the fabled spices of Kerala. 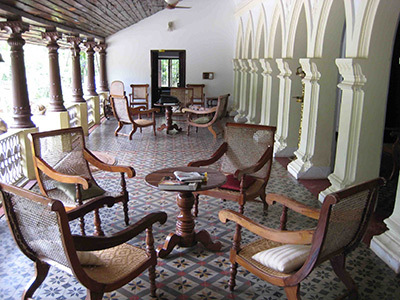 The Arabs, Chinese, Portuguese, Dutch, French, and the British left their footprints on the Malabar Coast. Through it all, time stood still at Olavipe- a village of smiling faces, shimmering waters, wide open blue skies, gentle breeze, birdsong and green of every shade… Olavipe remains the quintessential idyllic Kerala village..
Olavipe is also home to this branch of the 'Parayil Tharakans', a land-owning Syrian Catholic family. 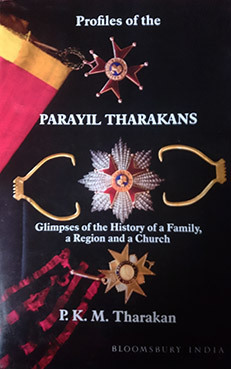 History of the clan is documented, in a well researched work by Professor Matthew Tharakan and is available from Bloomsbury India, The Vatican Library keeps a copy. Traced records take us back 250 years. 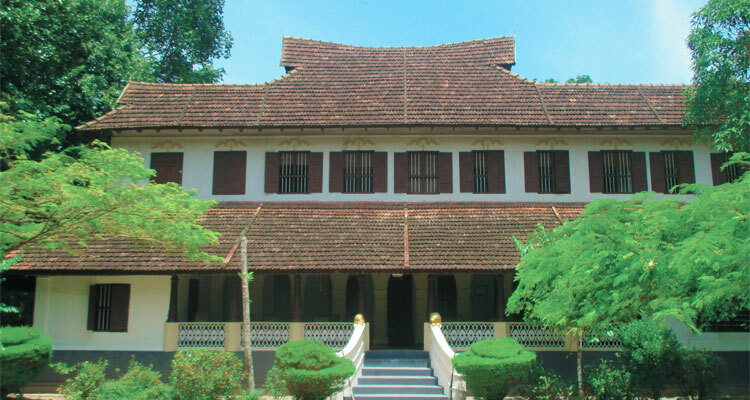 The 13 known generations include a Marquis, two Grand Chevaliers, three members of Kerala Legislative Assembly, several senior government officials and social leaders who have left their mark on the fabric of their times. 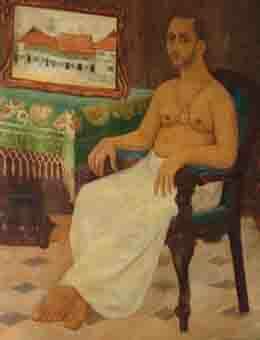 Parayil Varkey Varkey Tharakan (1826-1892) sent his eldest son across the waters of the Koppai Kayal to start yet another home of the Parayil clan at Olavipe. 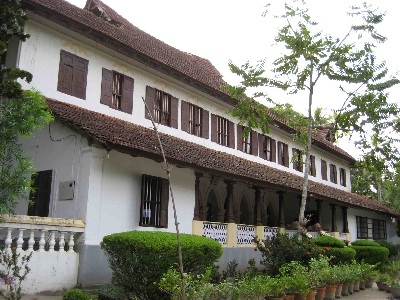 Towards the end of 19th century, the son Parayil Varkey Mathu Tharakan (1851-1919), commissioned this graceful mansion - 'Thekkanatt Parayil'. The house took nearly 13 years to be built. 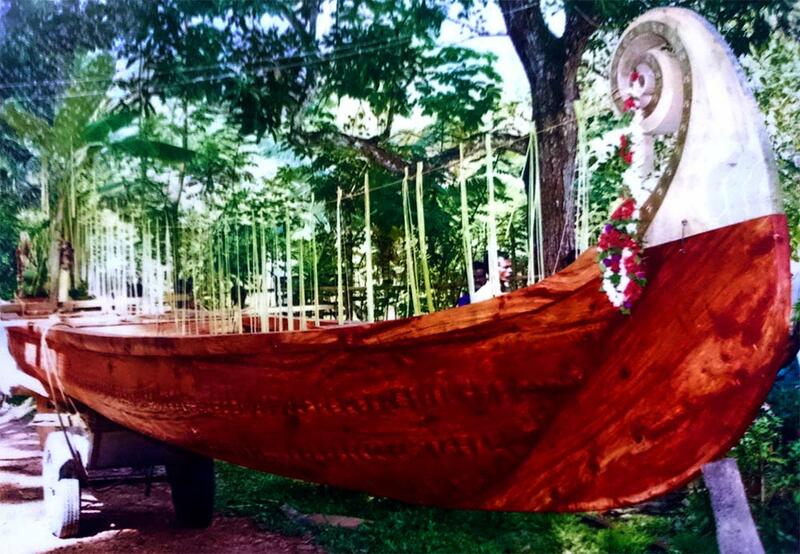 This was probably because all the construction material had to be ferried across the Kaithappuzha backwaters in large rice boats. His young son brought in influences of other architectural styles he admired. 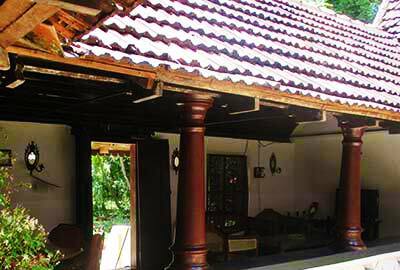 The house conceived on the lines of traditional Kerala tharavads of the period, took on the high ceiling and arches from other styles. 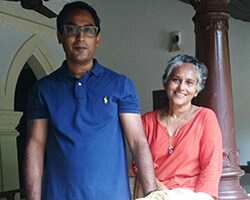 Work on the house was finally rushed to a conclusion, to bring his new born grandson – Kochupappu - to the new home. 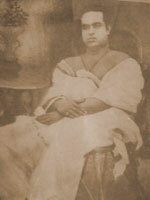 After Varkey Mathu's times, the house passed on to his son Parayil Mathu Avira Tharakan (1881-1922). 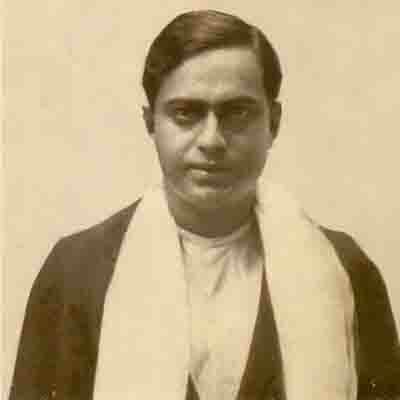 This ancestor died young and the mantle fell on the young shoulders of his only son – the teenaged Parayil Avira Kochupappu Tharakan (1903 -1959). 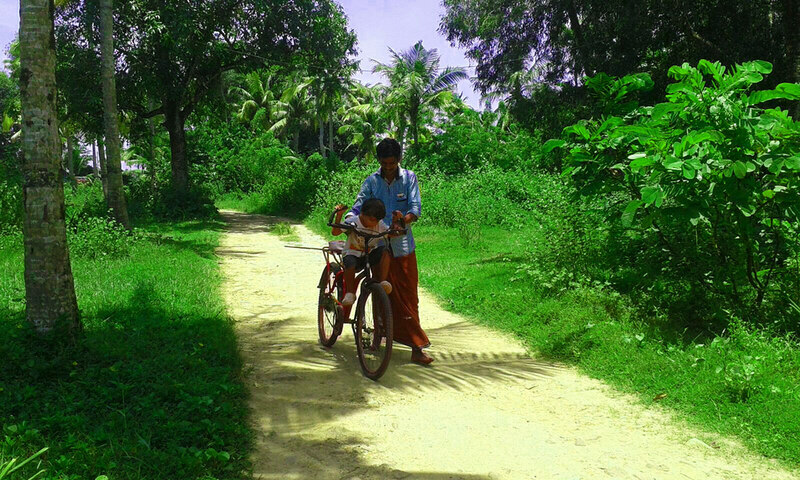 Kochupappu gave up his studies and came home to take on the care of his mother, sisters and the land. 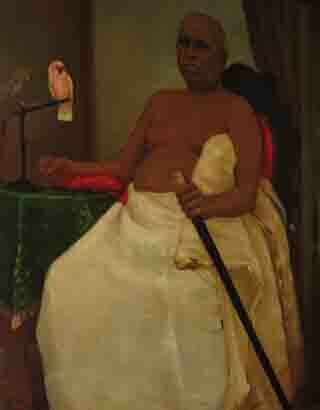 He married Kallivayalil Abraham Rose in 1925 and brought his bride home to Thekkanatt. In time, it was here that they brought up their 12 children. These were very turbulent times. Sweeping land reforms of the nineteen fifties saw all the 8 sons of the house step into the new world order and take up careers in different parts of the world. 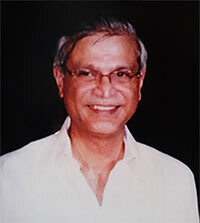 Parayil Kochupapu Jacob Tharakan, returned home to Olavipe after many years in the Gulf, the UK and Russia and a successful career in International Banking and Commerce. The Homestay was born out of his dream to put Olavipe on the map and to continue the family's role of involvement in the local community. During the years since the Olavipe homestay was born, Jacob has certainly managed this. Sadly and unexpectedly, Jacob passed away in August 2014, a great loss to the family, village and community that he supported in so many ways. Jacob leaves behind his wife Sumy, son Antony, Daughter Rosanna, son in law David and three beloved grandsons Gabriel, Joseph and Daniel. 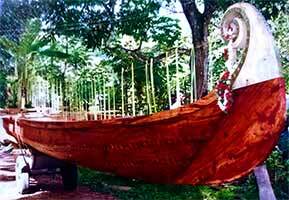 In the year 2000, Jacob entrusted his brother Antony and sister in law Rema, the responsibility to craft, launch and host 'Olavipe Homestay'. Their signature was on every aspect of it and their unique style of hosting, was remarked upon by everyone who had the luck to stay with them. With the changes after Jacob's passing, Rema and Antony moved out of Olavipe in 2015, to pursue other interests. 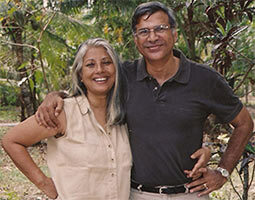 Sumy and Antony have returned from England to take up residence in the family wing and are now the hosts of Olavipe homestay. It is their aim to continue Jacob's dream, to carry on the success of Olavipe, to support the local community and to show folk from all over the world a little piece of the wonder that is 'Home'. 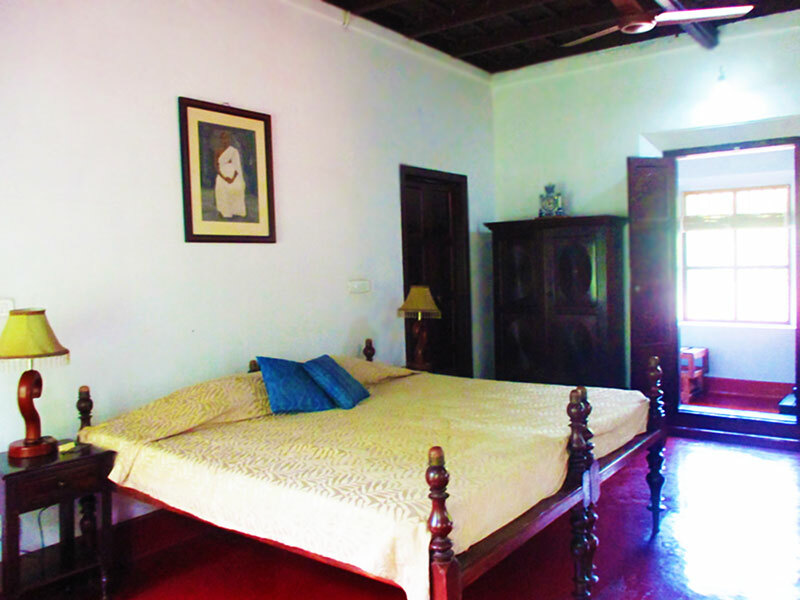 Arappura is the large bedroom on the ground floor and is adjacent to the "Ara" the rice store which is at the heart of any traditional planters' home. This too has been refurbished with ensuite bath to blend with the classic architecture. 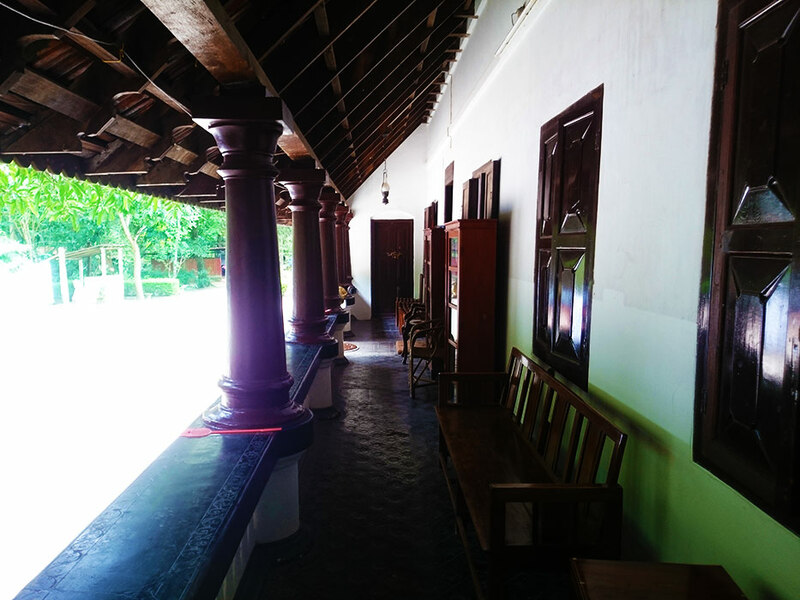 Something about this room makes you feel as if you have taken a step back in time… One of its doors opens up to the 'L' shaped veranda incorporating part of the library and the cooling stone bench, where generations of folk have whiled away the hours beside the mango tree. 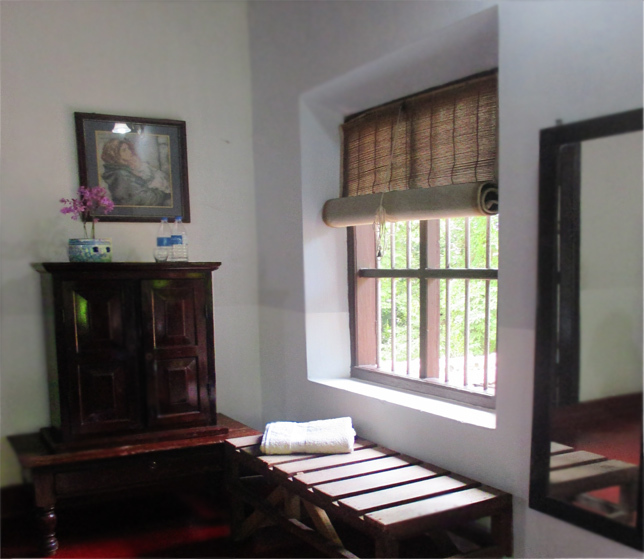 Consists of two rooms, and bathroom. Ideal for a family. 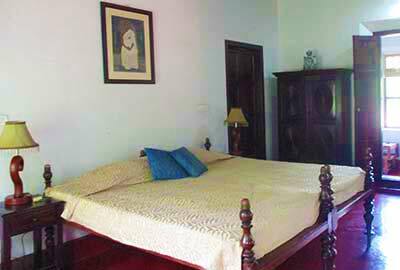 It can also be a twin or double room as required. 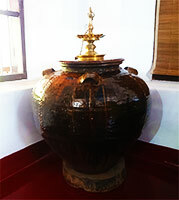 It possesses the curious feature of a large carved stone basin by the window. 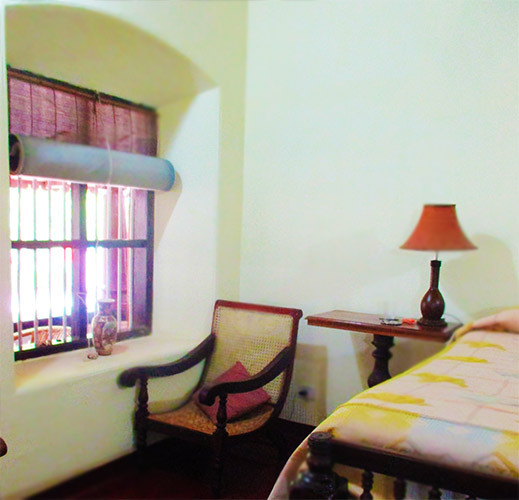 These two rooms have views on three sides of the house including the traditional open court yard in the family wing. The resident snowy barn owl has often been sighted on this side of the house and may fly by and hoot hello some night. 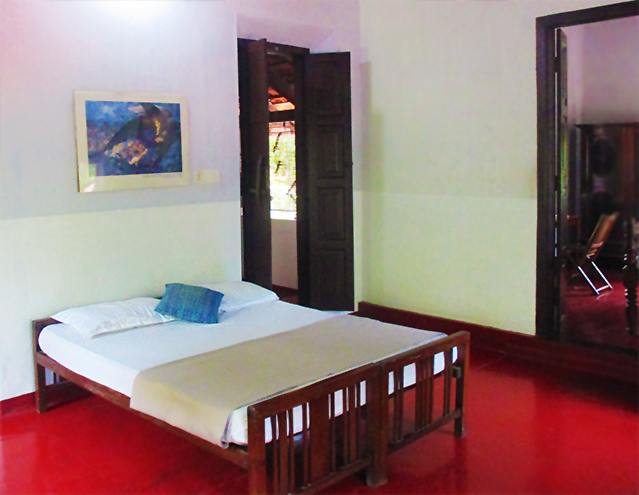 An airy room with beautiful light surrounded by arrack, mango and coconut and the gorgeous flame tree on one side. 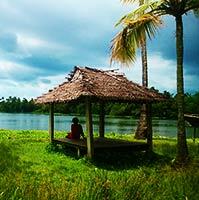 The perfect place to sit and write and paint and dream. Again with a small dressing room and a conveniently appointed bathroom. Traditionally the front entrance to the house, this has been imaginatively converted into two quaint ensuite bedrooms with private gardens and wheel chair access. You may even be tempted to take a bath under the stars in the outdoor bath tub. 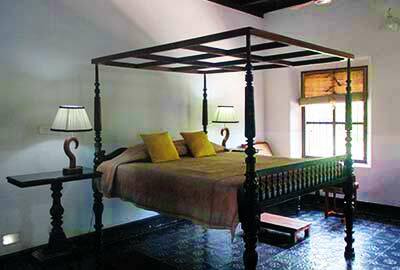 The upstairs middle room with an old fashioned high bed, a dressing room and modern bathroom. 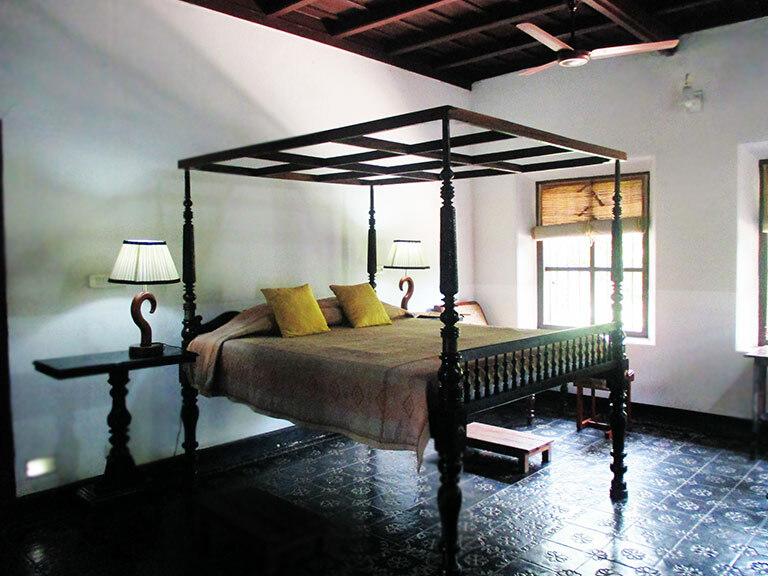 Unusually, this is the only bedroom in the house with a beautiful tiled floor. 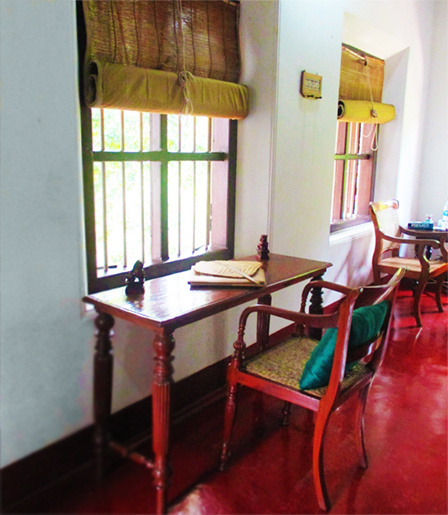 One of its doors opens to the middle verandah, with a beautiful view of the gardens. 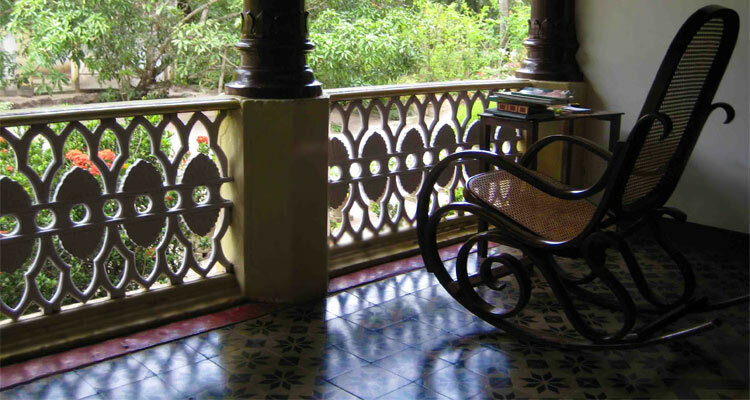 The walls of this verandah still echo with the sound of a thousand playtimes. It is still a favourite place to play caroms on a rainy day. Traditionally the family hub, close to the kitchen the farms and the store rooms, this is where much of the day to day running of a large household was organised – and still is! 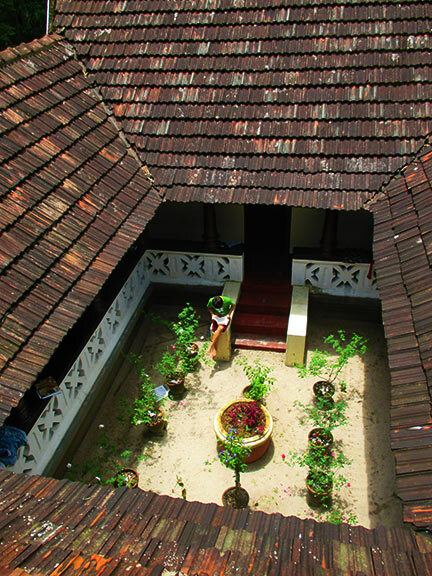 It surrounds an open courtyard where roses grow, children play and once in a while, turtles meander. 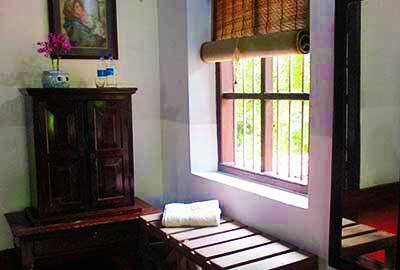 While this is normally the family wing, oftentimes, guests who prefer not to climb the stairs have been welcomed to either or both of these comfortable rooms with private sit outs.